The gold piano featured in the Queen’s address was intended as a showpiece for the State Rooms at Buckingham Palace, according to The Mirror. First purchased by Queen Victoria in 1856, the S & P Erard piano is made of mahogany, satinwood and pine, with brass and gilt bronze mounts, gilded and varnished. Seriously, who would think it was even plausible that the Queen would have Saddam Hussein's old piano in Buckingham Palace? Right. That'd be silly. Besides, it's obviously the clock that was Hussein's. Trump will reopen the border for five days and get his $5 billion for the wall. Genius! Who would think a despot like Saddam would even have a gold piano? Imagines Saddam dressed like this while hitting the keys. 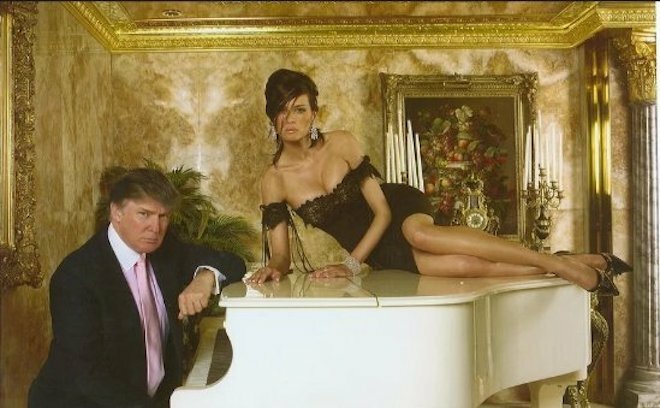 Yes, every good aspiring despot knows you get the white piano to complement the gold everything else. What are the chances Trump knows how to play the piano? I kind of think that if Donnie saw the Queen's piano he would want one of those soooo bad. What are the chances Trump knows how to spell piano. If you ask him, he'll probably say that he's the best piano player and has all the best notes. 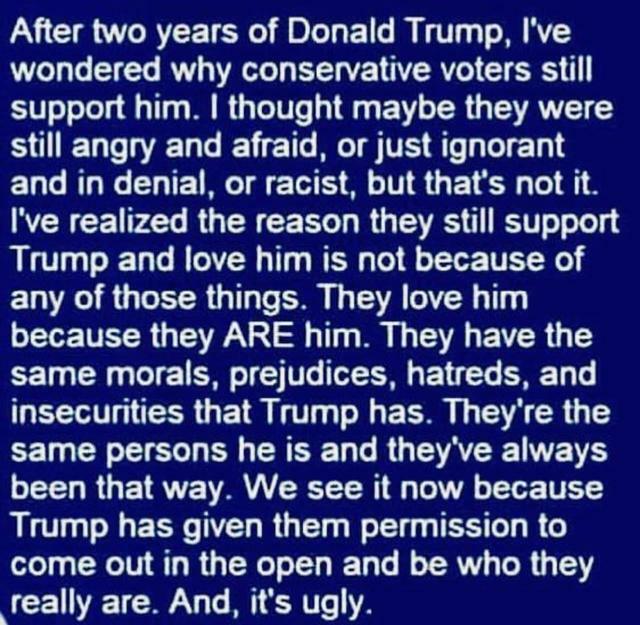 To non-Trump supporters, his playing sounds elementary because he avoids the black keys. To non-Trump supporters, his playing sounds elementary because he avoids the black keys. That’s because he only likes music written in C major and A minor. I’ve been seeing this reasoning a lot lately. And I think it’s correct. And his anti-intellectualism and vulgarity. I mean, why would you want a hoity-toity ivy-tower type like Obummer running the country when you can have some tacky, barely-literate schmoe who seems like he just walked in off the street? "But if someone's climbing down your chimney"
"You better load your gun and shoot to kill"
Of course in the 1970s, Reiner defended his friend who was dodging the draft. And yes, I know it's fiction. But it's fiction based on real life. Last edited by grundle; 12-31-18 at 12:01 AM. In the 2005 SCOTUS case Gonzales v. Raich, every liberal on the court voted against medical marijuana. Specifically, they said that if a person grew their own medical marijuana, and no money was exchanged, and the marijuana never crossed state lines, it still counted as "interstate commerce." All the dissenters were conservatives: O'Connor, Rehnquist, and Thomas. Reiner != Mike Stivic. You do know that actors play roles, right? Even if a character is based on real life, it says nothing about the actor portraying that character. Dodging the draft (i.e. being a conscientious objector) != faking a medical condition (or your daddy paying someone to fake a medical condition) to avoid service. And then having the nerve to criticize those that actually served. I was going to post the same response. Someone should call a doctor for grundle's arm - as I'm sure it popped out of its socket after that huge reach.